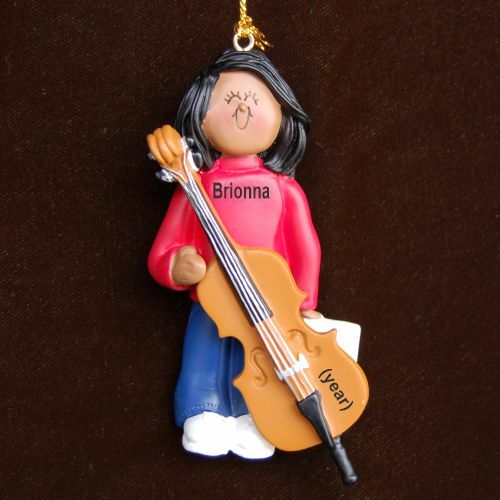 Tell her how proud you are of her progress with the cello virtuoso African American female personalized Christmas ornament in all its cute details. We letter by hand her name and the year onto these musical instruments ornaments personalized to be a keepsake she'll always cherish. Our included gold cord means the female cello virtuoso personalized Christmas ornament can be displayed wherever she likes it best when it arrives in our plush velvet gift and storage bag.